Elephant's Rocket Sunflower : Spot color ink cartridge for MD printers: Global Support for the ALPS and OKI Micro-Dry MD printers by Elephant's Rocket Inc. Global Support for the ALPS and OKI Micro-Dry MD printers by Elephant's Rocket Inc.
Gold! Silver! Metallic Red! Metallic Blue! Best printer for business use! Best printer for decal and sticker! ink cartridges, PC to printer cables! 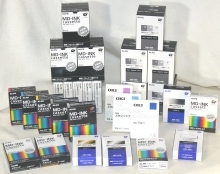 (Updated) How to order and Prices of ALPS MD printers, ink cartridges, decal papers and fittings. 1. Cyan 0%, Magenta 13%, Yellow 100%. Clear and strong Yellow / Recognizable Yellow / Sunflower / Banana / Pollen / Canary Yellow. Transparent pigment ink same as ALPS Cyan Magenta and Yellow ink. Color stability is very high. ALPS MDC-FLCY Yellow is looks like light lemon yellow. This Sunflower is more clear yellow because of including Magent 13%. 2. Overprinting on the same ink: About 90%, you can overprint Elephant's Rocket spot ink on the same spot ink. 3. Overprinting on the ALPS inks: You can overprint this Elephant's Rocket Sunflower on the ALPS Cyan Magenta and Yellow inks not only overprinting on the Special color white MDC-SCWH. You can also overprint this Elephant's Rocket Sunflower on the each ALPS metallic color inks. 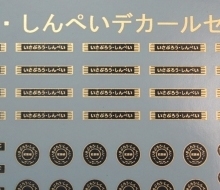 Very good printing quality on the water slide decal paper, normal laser paper, PVC film, and other films. Very good printing quality on the following Elephant's Rocket Water Slide decal papers that is most popular sand dust free decal paper. Very good printing quality on the white ink MDC-SCWH as white base printing. 5. Clean Manufacturing environment: Dust free and sand dust free at production line and assembly line. Elephant's Rocket ink cartridges and decal papers are very reliable product that will not damage the printing head of your MD printers. 6. Earth-friendly efforts: We have started this support of ALPS MD printers as earth-friendly ecology activity in 2010 in Japan. In this Elephant's Rocket spot color ink cartridge, we produce them by reusing black ink cartridges. We reject deteriorated cartridges and we use only reliable cartridge after cleaning and inspections. We have been developed Elephant's Rocket spot color ink cartridges in conjunction with a lot of modelers and decal producers in Japan. And these inks have received high evaluation with them. 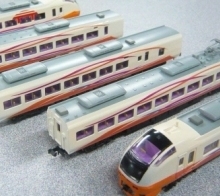 You can use them for plastic model decal of car, truck, train, airplane, helicopter, ship, boat, rocket, tank, armored car, submarine boat, gun, bike and house. Refer to the follwing page of Elephant's Rocket Orange ink for the detailed procedures. --> How to order and Prices of ALPS MD printers, ink cartridges, decal papers, sheets and fittings. Please contact us by email to place an order. If you need repairing of your MD printer, please let us know. We use only reliable cartridge after cleaning and inspections. Printing on the Elephant's Rocket Water Slide Decal Paper. Two and three times overprinting with Sunflower at bottom. Can be printed well even without Special Color White MDC-SCWH. Simultaneously release 3 new Elephant's Rocket spot color inks. Ice Gray, Sunflower and Pumpkin. 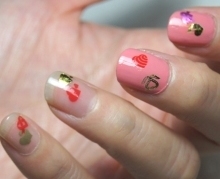 One time, two times and three times overlay printing. Special Color White MDC-SCWH --> Elephant's Rocket each spot color ink. 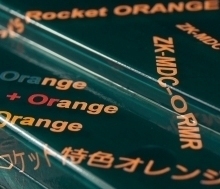 Last three lines are printed with Elephant's Rocket Orange that is already released in March 2017. We will expand the variations of Elephant's Rocket spot color ink accommodating MD users request. If you want us to develop new color spot ink, please let us know following information. 1. Color information. 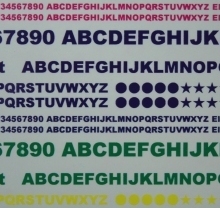 Accurate color information, such as DIC color code is better. 2. The reason of that color, such as where it is used. ALPS MD Printers are available! Ice Gray, Sunflower, Pumpkin and Orange ink is available! Water Slide Decal Paper is available! 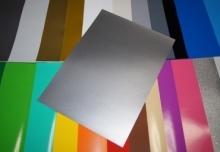 PVC color films with adhesive are available! We are the supporting company not only for Japanese but also worldwide ALPS and OKI Micro Dry printer users. If your printer is in need of repair and maintenance, please let us know.